« Could being fast asleep be more effective for weight loss than fasting? Today was a two-lecture day at MIT. I’ll just post about the first for now. 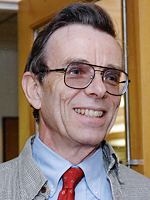 Bertil Hille, PhD, from the University of Washington, lectured on G-protein signal transduction, specifically slow effects due to PIP2 (Phosphatidylinositol 4,5-bisphosphate) depletion–which was first shown in his lab by Byung-Chang Suh in 2001. Psychiatrists, in addition to biophysicists and neuroscientists, may find his work interesting because lithium acts on the PIP2 pathway, so it may have implications for bipolar disorder or other psychiatric illnesses. Much of the research used the FRET (Fluorescence Resonance Energy Transfer) as a technique to measure protein-protein interactions. The Hille Lab also used FRET to measure PIP2 itself, by expressing two transgenes–phosphinositol-binding PH domains conjugated to CFP or YFP–and measuring the energy transfer between them. Byung-Chang Suh showed that the complete shut down of KCNQ that occurs 5-10 seconds after Gq-coupled GPCRs does not depend on downstream effects of the canonical DAG or IP3 pathways, but rather on the depletion of PIP2. Hille also mentioned the genomics work of a Japanese scientist (whose name I missed and haven’t been able to find online), who wrote an algorithm to identify voltage-sensing channels in tunicates and as a biproduct discovered a membrane-bound voltage-sensing phsophatase that acts on PIP2 when a cell is depolarized. Another interesting concept Hille included in his lecture was the possibility of phosphoinositol lipids acting as a “zip code” for the membrane. Many proteins contain domains such as C2, PH, PX, ENTH, SH2, and Tubby, which interact selectively with the 8 different common phosphoinositols. Also, different membranes such as plasma membrane, secretory vesicles, and endosomes have different dominant PIs. Accodring to the “Zip Code Hypothesis,” this system could be used to quiet proteins in between the time they are synthesized in the ER and transported to their desired membrane. This hypothesis is supported by Hille’s work on PIP2 dependent proteins which will stay relatively inactive until they are transported to the membrane, but also by the finding of a TRP channel that doesn’t activate until it is surrounded by the type of PIP dominant on endosomes. I wonder how localized the effects are in membrane compartments like synapses, do all of these proteins localize to the area? Even if they do, it may be difficult to study their specific role there, because Hille’s studies required 1,000-10,000 fold overexpression, which probably cannot be achieved in synapses. 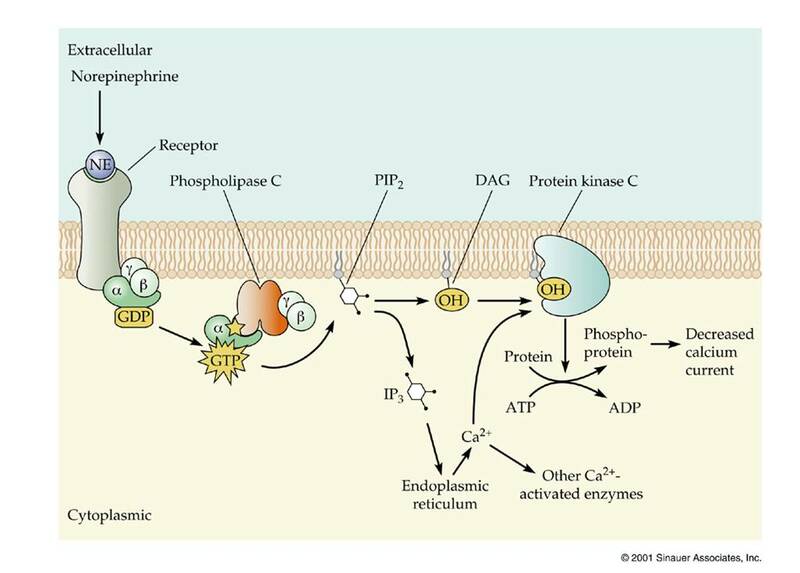 I am also curious how many membrane-bound proteins are affected by these sorts of pathways, and if our ignorance on their effects may have lead to the classifications of certain proteins, say in a oocyte overexpression study of a protein normally found on the ER. After the lecture Lasker Award winner randomly sat down at a table with me and some other lowly bench researchers and started talking to us. It was a really nice gesture.